What does it take to win the National Book Award? Not sure, but this book won and deserves it. It would be hard to imagine of a more honest reflection of the Native American Experience with all its suffering, disillusionment, despair… and laughter. Junior is a poor kid who lives on a “RES” in Spokane WA. His father drinks; 3/4 of the reservation drinks. His sister does too (tragically). Junior is smart, tough, thinks of himself as a geek, but he has one good friend, a super-tough pal named Rowdy. He and Rowdy are inseparable, feel that they will be best friends for the rest of their lives. Then one day a teacher takes Junior aside and tells him to get away from the reservation school. He can make something of himself if he goes to school in the nearby white farm town of Reardon, says the teacher. Junior does, and Rowdy suddenly turns from his friend into his enemy. Still, just entering the new all-white school takes incredible bravery. Junior stands up to the school’s super-stud, alpha male jock and in the process makes the kid his friend. He falls in love with lily-white Penelope and through understanding and honesty becomes her boyfriend. Junior becomes the star shooter on the school’s basketball team and then leads them in a victory over the kids on his own RES, defeating Rowdy and the rest of the guys. That’s when Junior realizes what he’s done to his friends and to his tribe. 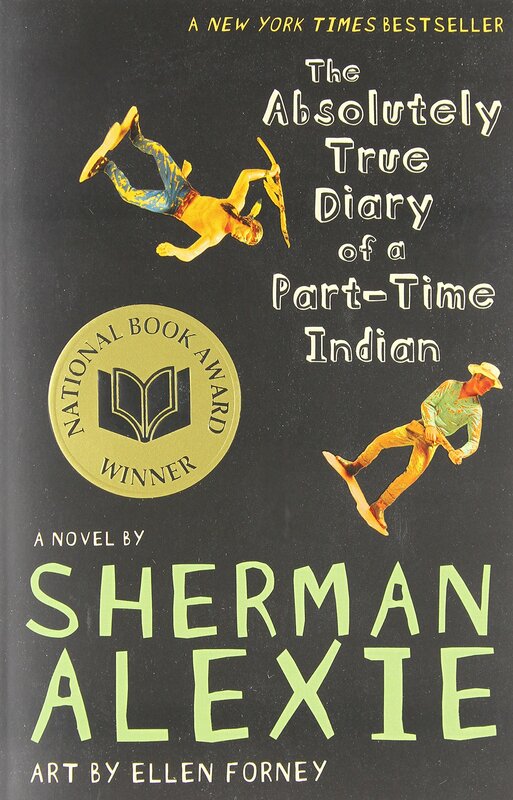 I listened to the audiobook version of THE ABSOLUTELY TRUE DIARY OF A PART-TIME INDIAN, and I can’t imagine a better way to get the story. 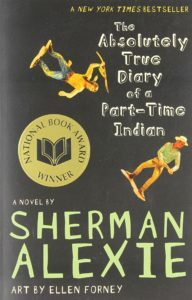 Sherman Alexie tells it all as though it’s stand up comedy, TRAGIC stand up comedy. Hearing his voice and his emphasis as the story unfolds makes it all very personal and gives the listener a feeling of genuine connection to the kid who lived all this. Simply put, this is one of the most potent literary experiences I’ve ever had.